Interestingly, this impact was equivalent regardless of insurance type, meaning that patients with public and private insurance exhibited similar, high levels of engagement with the health-focused emails and texts. This translated to 71% of patients being highly engaged, regardless of whether they had public insurance (Medicare/Medicaid) or private, commercial coverage. When considering de Blasio’s plans for guaranteed healthcare, it’s important to think about what strategies will help people be more engaged, less costly patients. This study offers some insights. We all need support, education and guidance. Digital, personalized connections give people the healthcare info they need to best care for themselves and their families. And that leads to better patient outcomes, prevents overuse of city emergency rooms and lowers costs for the healthcare system. 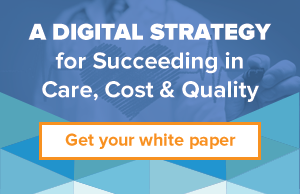 Learn more about how early, mobile patient engagement from diagnosis through post-care generates significant cost-savings and better patient outcomes.